In the Islamic sacred tradition, this verse of the Qur’an is generally associated with a special miracle of the Holy Prophet of Islam (sa), known widely as the event of “Shaqqul Qamar”, or the ‘splitting’ of the Moon. There are several Ahadith that confirms the miracle. The authenticity of these traditions are beyond reproach as the transmission chains and channels pertaining to them go all the way to the great companions of the Holy Prophet (sa), such as Ibn Abbas, Anas bin Malik, Abdullah bin Masud and others. The traditions on the subject can be seen in all the major collections of Ahadith: Bukhari, Muslim, Tirmidhi, etc. 1. Narrated Abdullah bin Masud: "During the lifetime of the Prophet the moon was split into two parts and on that the Prophet said, 'Bear witness (to thus).'" 2. Narrated Anas: "That the Meccan people requested Allah's Apostle to show them a miracle, and so he showed them the splitting of the moon." 4. Narrated Anas bin Malik: "The people of Mecca asked Allah's Apostle to show them a miracle. So he showed them the moon split in two halves between which they saw the Hiram' mountain." 5. Narrated 'Abdullah: "The moon was split ( into two pieces ) while we were with the Prophet in Mina. He said, "Be witnesses." Then, a Piece of the moon went towards the mountain." 6. 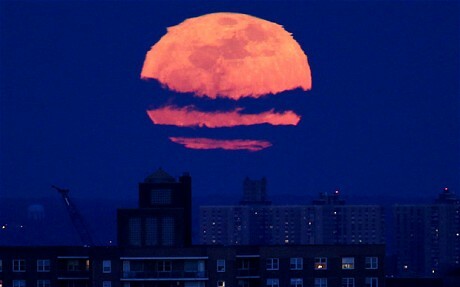 Narrated 'Abdullah bin 'Abbas: "During the lifetime of Allah's Apostle the moon was split (into two places)." 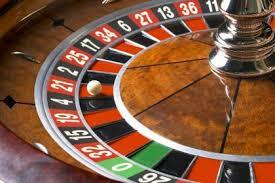 Nowadays gambling has taken extraordinary dimensions and is setting to destroy all in its path. It does not differentiate between nations and religions. Nowadays, those who proclaim to be Muslims are also not spared from this affliction, this satanic attraction. Therefore, stop with gambling habits before calamities from Allah strikes you. Islam is a religion which seeks to make you follow the established divine commandments, such commandments which are addressed not only to the believers but also to whole humanity. Allah has established the need for you to seek your daily bread (food) and that you obtain money through licit means. As for gambling, hazard games like lotteries, horse betting, “household baskets”, card games, casinos, and lotto etc., all these force people to depend on chance, and give them a false hope to get easy money, such money which if obtained are without making any efforts and through illicit means. Those who fall prey to this do not respect the divine principles to seek one’s living. Islam is a religion which works beautifully. It has established each thing in its own place, and thus established that the riches of others are not licit for us. "When eyes are dazzled;And the moon eclipsed;when the sun and the moon are brought together"
One of the greatest signs in favour of the claims of Hadhrat Munir Ahmad Azim Sahib (atba) of Mauritius as the Divinely-raised Reformer (Muhyi-ud-Din/Mujaddid) of this age is the total eclipse of the Sun and the Moon in the same Holy Month of Ramadan 1424, in November 2003. According to the available scientific information on both total and partial eclipses over the millennium, the total eclipses of November 2003 is such a rare heavenly sign. In the last 1400 years of the Islamic history, the total eclipses of the Sun and the Moon in the same Ramadan has occured only very few occassions that they can be counted on our human fingers. In November 2003 when the total eclipses took place, it was occuring only the seventh time in 1400 years of Islamic history! And the next occassion is so distant that no one alive on the face of earth today will be around to witness the same astronomical phenomenon, when it occurs again in the second half of the next century! "We are not concerned with how often solar and lunar eclipses have occurred in the month of Ramazan from the beginning of the world till today. Our aim is only to mention that from the time man has appeared in this world, solar and lunar eclipses have occurred as Signs only in my age for me. Prior to me, no one had this circumstances that on one hand he claimed to be Mahdi Mauood (The Promised Reformer) and on the other, in the month of Ramazan, on the appointed dates, lunar and solar eclipses occurred and he declared the eclipses as signs in his favour. By the grace of Allah, throughout the years in which God dipped me in the fountain of His Divine Manifestation, He has taught me lots of things of which I never knew before. He taught me the languages of the birds and also of His beautiful creations of earth. All through the years, through His eyes, I have felt cherished in a special cocoon: Divine Love. He made me into an Adam (as) to reach out to people and make them understand the philosophy of life and living for a special purpose: the worship of one God. Among the things He showed me is the need for peace, not only at our inner level, but also at world level. Through the inspirations He vouchsafed me, He taught me that the real cause of human strife and wars is due to selfishness, on one hand and the sacrilege of God’s remembrance and association to God in His Pure and Only Divinity, on the other. When people let go of the thread of unity, of sincerity and spirituality and preferred to indulge in self-interest, and when he forgot to act according to the divine laws, and forget to respect the rights of others, in the same go, he showed to himself the way down to hell; a hell of his very own creation. Gone are the harmony and concord he should have gotten had he held fast to the commandments of God and act decently in the best interest of one and all. The respect he should have had for his neighbours, friends, surroundings, and his very own family, had he acted upon this respect and defended the spiritual values bestowed to him since the creation of the heavens and earth, he should have been successful in opening the secret door leading him to God. “Where will the money come from? And how will such a community be born- a community of people willing to perform heroic feats for their faith? These are not the questions that worry me. I am more concerned that people coming after me may stumble when entrusted with such large amounts of wealth and that they may take to the love of this world”. [1939 Dec 28-29-Proceedings of the Annual Conference at Qadian, quoted in “Fazl-e Umar”: The Life of Hadhrat Mirza Bashiruddin Mahmud Ahmad Khalifatul Masih II , p. 234, by Mujeebur Rahman, London: Majlis Khuddamul Ahmadiyya, UK (2012). 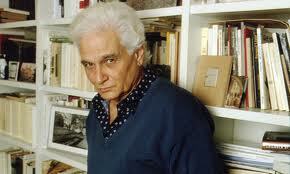 The noted French philosopher Professor Jacques Derrida (1930-2004) famously argued that every philosophical, religious and social institution, no matter how framed and secure it seems, is never fully complete and self-sufficient by itself. Instead the system depends on non-systematisable elements that produce and sustain the system's very possibility. If we are to understand the true nature of power and authority being exercised by the institutional elites through privileged interpreations, the demystification and deconstruction of the ideas, values and meanings that are embedded in the system is inevitable and unavoidable. In the Islamic religious order, the idea of Divine revelations and the possibility of Divine Reformers appearing in every century is central to any discussion on the continuing vitality of Islam as an ethical way of living and being for individual believers. Against this backdrop, the description of the Khilafat-e-Ahmadiyya as a complete way of institutional life for all times to come hangs on a precarious hope. The idea that the man-elected Khalifa will remain immune from injustice and that the Ahmadis may not stumble in course of time and that they will protect themselves against the onslaught of moral corruption had been belied by the experience of history and the incidents of our own times. Angels are a part of Allah’s creation, they do what they are commanded, they depend on Allah in the same way as men or His other creatures. Allah is not dependent on them for the manifestation of His power. Had He willed, He would have created the universe without angels, but His perfect wisdom willed their creation. So angels came into being. Allah created light for the eye and bread for hunger. He created light and bread not because He was in need of them but because man was in need of them. The angels only manifest the will and wisdom of Allah. 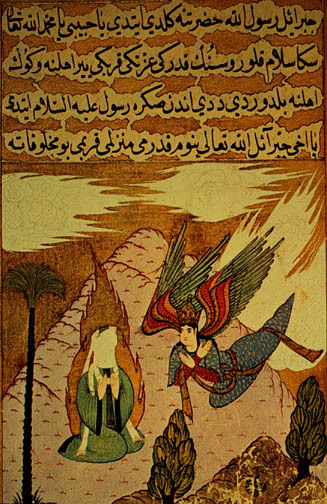 (Inset: The Angel Gabriel appearing to the Holy Prophet Muhammad (sa) , on Mount al-Noor (a hill near Mecca where the Prophet received his first visions)- a miniature illustration from the biography of the Prophet entitled Siyar-i Nabi, by Ahmed Nur Ibn Mustafa, published in Turkey, 18th century). Divine Revelations are words and instructions from Allah and Allah speaks to His chosen servants and reveals to them His purpose. The recipient provides neither the meaning nor the words of revelation. Both come from Allah. Revelation provides real sustenance for man. Man lives by it and through it, man comes to have contact with Allah. The words, which embody a revelation of God, are unique in their power and majesty. No man can coin such words. They carry treasures of knowledge and wisdom, and they are very deep in meaning. They are like a mine the stone of which is the more valuable the deeper you dig. Indeed, a mine is nothing compared with divine revelation. A mine can be exhausted, but not the wisdom of divine revelation. 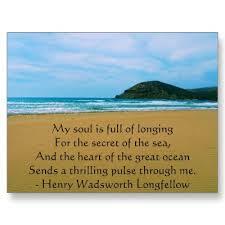 Divine Revelation is like a sea with a scented surface and a bed strewn with the most precious pearls. Those, who turn to the surface, enjoy the fragrance of the surface, and those, who dive deep, find the pearls below. Revelation is of many kinds, sometimes it consists of ordinances and laws, sometimes of exhortations. Sometimes it brings knowledge of the unseen, sometimes knowledge of spiritual truths. Sometimes it conveys the goodwill and approval of Allah, sometimes His disapproval and displeasure, sometimes His love and regard, sometimes warnings and rebukes. Sometimes it teaches points in morals, sometimes His insight into secret evils. In short, our belief is that God communicates His will to His servants. These communications vary with circumstance and the spiritual status of the recipient. 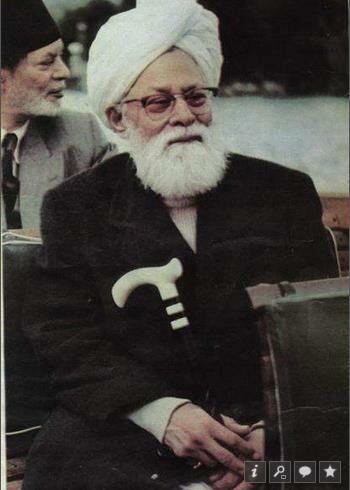 Hadhrat Mirza Bashir-ud-Din Mahmud Ahmad (ra) (1889-1965), as the second Khalifa of the Jamaat-e-Ahmadiyya, had a long period of service at the helm of affairs. It was at the death of the first Khalifa Hadhrat Hakkim Nur-ud-Din Sahib (ra) (b.1841; k. 1908-1914), that he was elected as the head of the spiritual community. It was a difficult historical moment, especially with the Great Split of 1914, leading to the separation of the LAM and the shaking it entailed for the entire community. As the young Khalifa was uniquely positioned to provide the interpretive guidance so necessary for the spiritual community, in the course of several decades, he played a significant role in shaping and defining the ideological and administrative contours of the Community in the last century or so. The uniqueness of his special authority emerged not just from the fact that he was elected by the companions of the Promised Massih (as). 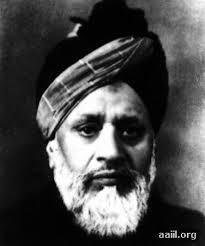 For the common members as well, the second Khalifa was the pious, biological son of the Founder of the community. Given the fact that the prophecies of the Promised Massih (as) included the prophecy Musleh Maoud- regarding the arrival of a righteous progeny for the service of Islam, for many of the companions of the Promised Massih (as) and others, he represented the hope and expectation of a bright future of the Jamaat. For them, he was the personality in whom and through whose times, many of the Divine revelations and sacred prophecies were to be redeemed in the fullness of time. Consider this instance from the first Khilafat. An old, venerable Companion of the Promised Messiah, Pir Manzur Muhammad Sahib, made a study of the works of the Promised Messiah. It led him to the conclusion that Mirza Bashiruddin Mahmud Ahmad combined in himself all qualities and circumstances which marked him out, very clearly, as the Muslih Mau'ud. Pir Manzur Muhammad, wrote a paper on this prophecy. He deduced 14 points, and applied the Prophecy to Hazrat Mirza Bashiruddin Mahmud Ahmad, and he put it before Hazrat Maulvi Nurruddin Khalifatul Masih I whose reaction was: "I have known it for a long time. Have you never noticed that in my attitude towards him, on a personal level, there is an inner shade of deference." "We have known this for a long time. Haven't you noticed that in our personal attitude towards him there is a deep inner shade of deference? I confirm that I said this in the course of a talk with brother Pir Manzur Muhammad." 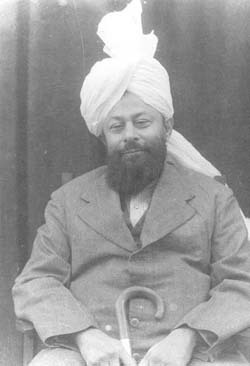 In a previous article in the Blog we have noted some of the outstanding allegations against Hadhrat Khalifa Sani (ra) (click here) from his critics– including the imposition of social boycott against rebels in Qadian and even a murder case involving an Ahmadi alleged to have been “ordered” by the second Khalifa. From our examination of some of the public records and court judgements, what is apparent is that there was a religious, social and political context in which the unfortunate events have occurred in the 1930’s in Qadian under Hadhrat Khalifa Sani (ra). 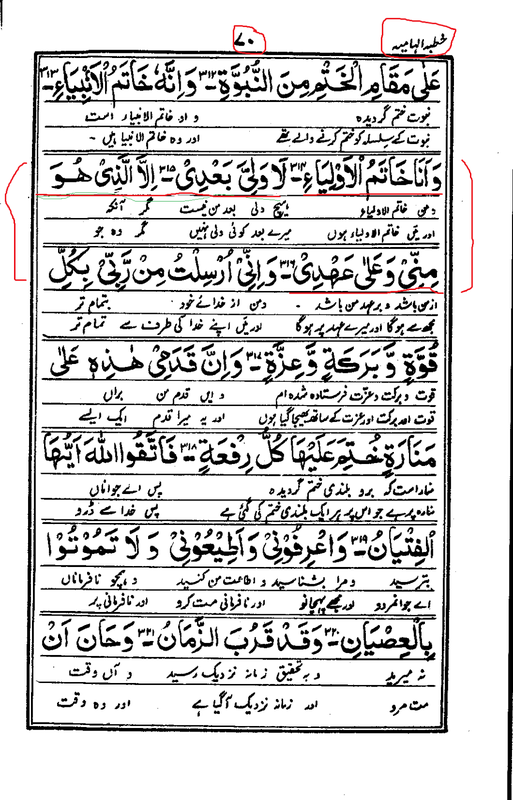 As we have shown in the article, while the towering Majlis-i-Ahrar leader Maulana Ataullah Shah Bukhari was prosecuted and punished by the Lahore High Court for his hate speech and incitement to violence against the Ahmadis in a single public sermon in Qadian, the same High Court in the same period absolved the second Khalifa of the allegation of incitement to murder his “Muslim” enemies/ Ahmadi rebels, even after examining several of his speeches printed and published in the Ahmadi Press, including the “AL FAZL” of the 1930’s. The Hon’ble High Court had before it those very sermons and it reached its conclusions after forensically analysing the contents thereof and that too in the context of a murder case which took place in Qadian itself. Let truth be told. It is not just the Lahori-fellow travellers who are guilty of a flawed perception of a complex legacy of the past. Put differently, members of both the mainstream Jamaats- Jamaat-e-Ahmadiyya Qadian and the Lahore Ahmadiyya Movement are wrong in their ‘blames’ and ‘accusations’ against Hadhrat Khalifa Sani (ra). 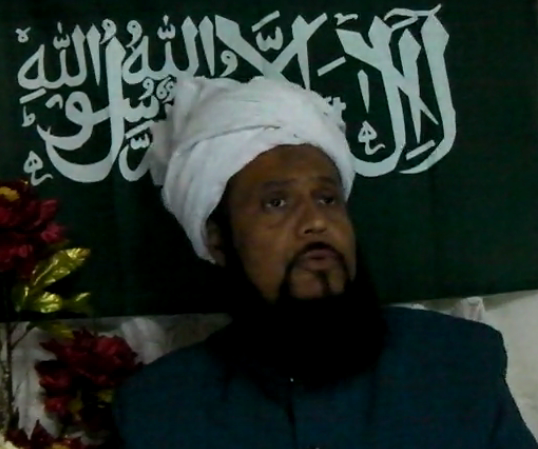 If there is visceral hatred on the part of the enemies of Hadhrat Khalifa Sani (ra) to implicate and consider that he “ordered” murders and violence against his opponents, the people who claim they are his followers in the “mainstream” Jamaat are equally guilty of the sin of deification, unexamined adulation and uncritical implementation of his policies even for a new age. At such a critical time, in this era, Allah (swt) had enabled one of the believers of Hazrat Muhammad (saw) and Hazrat Massih Ma’ud (as) to be raised with such a Jamaat, Jamaat Ul Sahih Al Islam to defend Islam, fight injustice and answer satisfactory the questions of the non-Muslims I come across concerning my claim as Muhyi-ud-Din, Khalifatullah etc. My enemies and the hypocrites got furious and in their rage which was quite out of proportion, they hurled abuses on me and dubbed me a drug addict, sorcerer, mischief-maker, dog, pig, liar and all sorts of names. My enemies even prepared a fatwa (religious decree to declare me a Kafir and false prophet). Alhamdulillah, Summa Alhamdulillah. I do not see anything strange in it because that is what has always been done to godly people. It is only after some time has passed that their true position is recognized. I do not mind the fatwas of kufr and all sorts of names that are being issued against me, because through all these kinds of hardships, the people are only wronging their own souls, not the elect of Allah. The more they try to afflict me with their evil intents and deeds, the more Allah (swt) uses me to serve His religion and through this humble self He is able to establish the excellence of the Holy Prophet (saw), the Promised Messiah (as), and that of the Holy Quran. I am of course only a like recipient in the hands of Allah. He does whatever He likes with this humble self, for when Allah chooses someone for His mission, then that being is wholly for Allah, and acts as per the will of Allah and everything that he does is through the permission and instruction of Allah. Everything has its measure with Allah. Every being has certain specific works to accomplish, as with the human messengers of Allah and also the angel messengers of Allah. How to become good Muslims? In the 125-year old history of the Jamaat-e- Ahmadiyya, Hadhrat Mirza Bashir-ud-Din Mahmud Ahmad (ra) (1889-1965) holds a very special place. If the idea of Khilafat-e-Ahmadiyya was invented after the death and departure of the Promised Massih Hadhrat Ahmad (as) (1835-1908) and took its initial contours during the time of the Khilafat of Maulvi Hakkim Nuruddin Sahib (ra) (1908-1914), it was during the time of Hadhrat Khalifa Sani (ra) that the institution, in many ways, got consolidated, as the period of his Khilafat extended over half a century. If today, for devout Ahmadis, the institution of Khilafat-e-Ahmadiyya holds much significance in their lives and the obedience to the Khalifatul Massih is perceived by the members as a foundational act of religious sincerity, it has occurred through the specific interpretations of the teachings of the Promised Massih (as) and the conscious policy choices adopted especially during the second Khilafat. 2014 marks the one hundred years of the beginning of the second Khilafat in the Jamaat-e-Ahmadiyya. As tragic irony goes, the year also marks one hundred years of the Great Split among the Ahmadis. It was with the death of the first Khalifa Hakkim Nuruddin Sahib (ra) in March 1914 that the differences of opinion among the companions on ideological directions of the Jamaat came to the foreground. 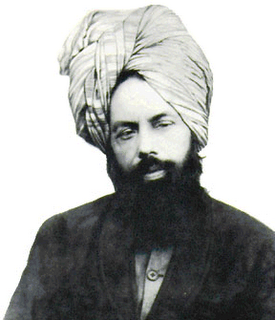 The refusal of some of the influential companions of the Promised Massih (as) to agree upon the leadership of the eldest son of the Promised Massih (as) led to the Split in the Jamaat and also the formation of the Lahore Ahmadiyya Movement (LAM) and the Jamaat-e-Ahmadiyya Qadian (JAQ) as two separate fractions. The formation of the LAM under the leadership of Maulana Muhammad Ali Sahib witnessed the intellectuals and the opinion makers within the Jamaat moving along with him, out of Qadian, in the aftermath of the Split. On the contrary, the substantial mass of common believers took allegiance to Mirza Bashir-ud-Din Mahmud Ahmad Sahib, who became the second Khalifa of the JAQ at a relatively young age of 25. Both fractions committed themselves to the propagation of Islam as “originally” taught by the Promised Massih (as), even as they bitterly differed among themselves on the ‘true’ conception of those teachings. 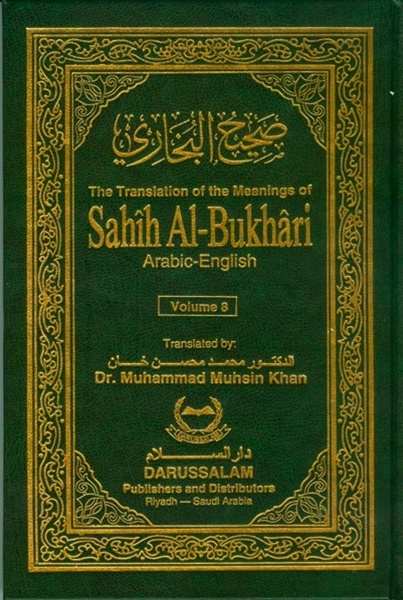 The great scholars in both the fractions produced volumes of literature in support of their sectarian identity, chosen lexicological interpretations of abstract concepts with nebulous meanings and advanced their respective terminological preferences such as ‘Nabi’,‘Mujaddid’, ‘Ummati Nabi’, ‘Ummati wa Nabi’, ‘Khalifa’, ‘Amir’ etc. To the uninitiated and the ill-informed, the diverging philosophical positions might appear like highly abstract matters. Yet, the fact is that the fractional war within the Jamaat-e-Ahmadiyya has had its consequences, desired as well as unintended fall-outs, both internally and externally. Most crucially, it was the sectarian divisions within that played into and provided the fuel to the fire of hatred and jealousy nurtured by the Mullah and the enemy class (often feeding one another) to undermine and possibly attempt to destroy the Jamaat-e-Ahmadiyya altogether by declaring it out of the pale of Islam in the murky politics of Pakistan, in the subsequent decades. Internally, the hardening of doctrinal positions and ill- thinking of fellow brothers on both sides of the divide led to intolerance of differences within the Jamaat-e-Ahmadiyya. Some Ahmadis suspected fellow Ahmadis of ideological drift and personal ambitions. These tensions in ideological positions and the personal equations produced, in their wake, a number of allegations by people who were once closer to one another than their own families and clans and tribes, based on the affinity of Khilafat-e-Ahmadiyya. Some of the bitter critics and vocal opponents of the second Khalifa alleged about practices of social boycott and criminal intimidation in Qadian. Even allegations of incitement to murder had been made against the Khalifa. The police records and the court documents of the times speak about these controversies. In their refusal to recognize the claim of the second Khalifa as to the fulfilment of the prophecy Musleh Maoud, part of the reason or justification publically given by his critics in the LAM includes the controversies and cases surrounding his administration of the Jamaat in Qadian. According to the Qur’an, unity and peace in society are among the Divine blessings, whereas dissension, discord, internal strife and civil war are among the ways in which nations come under a trial. The Holy Prophet of Islam (a) described many of these signs of the Later Days in a context indicating the times of a Massih raised by Allah. In the previous era, the Promised Massih Hadhrat Ahmad (as) through his writings, including in Tajalliyat-e-Illahiya (Divine Manifestations), repeatedly warned the world about the horrendous events waiting to unfold on the human condition as a consequence of its lack of appreciation for the Divine guidance for ethical and sustainable living. In our own times, the Muhyi-ud-Din Hadhrat Munir Ahmad Azim Sahib (atba) of Mauritius repeatedly warns us that humanity is on the brink of disaster. Reflecting on the ongoing situation in Central African Republic and also in Myanmar and elsehwere, where the Muslim minorities are living under severe threats to their fundamental rights and freedoms of life and libaerty, in a recent series of Friday Sermons, Hadhrat Sahib (atba) had called the attention of the world to pure Islamic teachings that recognize the diversity of races, religions and languages and the need to respect and accord these rights to all groups in every humane society. In a world driven by the powerful vested interests of the developed world, principles of absolute justice and equal application of the laws in all circumstances that protect the integrity of the international system and human rights cannot be ensured. The Divine Messenger of our times has clearly identified the faultlines of diverging interests and the consequent absence of strong enforcement mechansims at the inter-State level as the apparent weaknesses of the existing world system, leading to the present crisis in world governance. It is not unknown to the Muslims that natural and man-made disasters strike the world when Divine sayings are ignored and reformers are insulted and humiliated, rather than respected and listened to. Instead of showing attention and concern for what the Divine message contain, the ungrateful and the rebellious seek to shoot the Messenger, leading invariably to various modes of Divine wrath and punishment. Believers who reflect would invariably be struck by the remarkable similarity of the Divinely-inspired sermons and sayings with the course of events in our times. Those who free themselves from the sins of hubris and prejudice can easily discern the proliferation of a series of events that point to the fulfilment of the grand Divine prophecies in the world affairs. 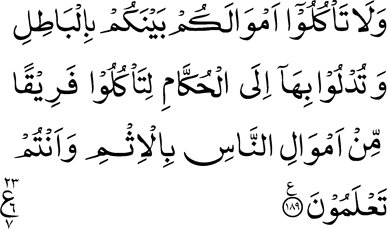 “O My servants, I have forbidden injustice to Myself and I have made it forbidden amongst you. So be not unjust to one another. [Part I, Hadith No. 1; Muhyi-ud-din Ibn Arabi, Mishkåt al-Anwar: 101 Hadith Qudsi, written in 1202-03; Oxford: Anqa Publishing (2008); p.18. You must know that whenever a religious society became corrupted, then it was without fail, that a person came from Allah who revived the message and started a movement of great sacrifice for the sake of religion. Not taking other people’s lives but offering their own lives. Not destroying other people’s property but putting themselves in a precarious position where their property were destroyed and looted by others. So following through this hard path of sacrifice, religion was revived whereby you find these phenomena come one after the other (after religion has been trampled by stupid high priests/Mullahs who destroy the essence of religion). 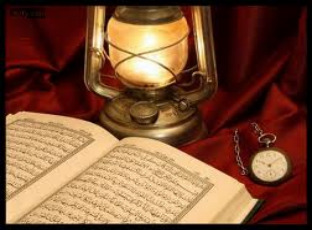 Our Holy Prophet Muhammad (pbuh) is thus the most dependable source of light for us (Muslims). In fact after every other prophet and his religion became a thing of the past, Hazrat Muhammad (pbuh) is the only source of light available to us. How did he revive religious values? It is through walking in the streets of Mecca and being stoned and being abused and being maltreated in the worst possible manner, by the sacrifices of his followers when they being dragged in the hard stony streets of Mecca and them being beaten almost to death and sometimes to death just for the sake of the true faith upon which they held firm till they tasted death or till they witnessed the victory of Islam. The atrocities committed against them are enormous and yet as they walked through the path of blood and fears and toil, they were purified at the same time, they were spreading instead of decreasing in number. They were not conquered in reality but they were turning into victors because they were winning other hearts, other souls, other people joined this procession of those who offered sacrifices, and in that process they were purified. Islam is designed like this. There is no short-cut to glory and victory and that is done always through the Messengers of Allah. If they came in the past, is present in this era, likewise Messengers of Allah will always come till the Day of Judgement in the light of perfection of the Holy Prophet Muhammad (pbuh). When the religious leadership becomes corrupt, Allah takes the leadership in His Own Hands, that is the phenomena of “Nabuwwah”. The fulfilment of these Divine prophecies has taken place in our times, with the raising of Hadhrat Munir Ahmad Azim Sahib (atba) of Mauritius as the Khalifatullah, in complete obedience to the Holy Prophet (sa) and the Promised Massih (as), as per the glad tidings they have vouchsafed to the humankind in general and the Muslim Ummah in particular.